We all knew something had to go down. Reigns was getting booed out of the building (thanks, in large part, to a boring feud with Big Show, and the overwhelming feeling of “they really are shoving him down our throats, aren’t they?” We were due for a title change, we were due for a Money in the Bank cash-in, and we knew it. And what we got… it was glorious. 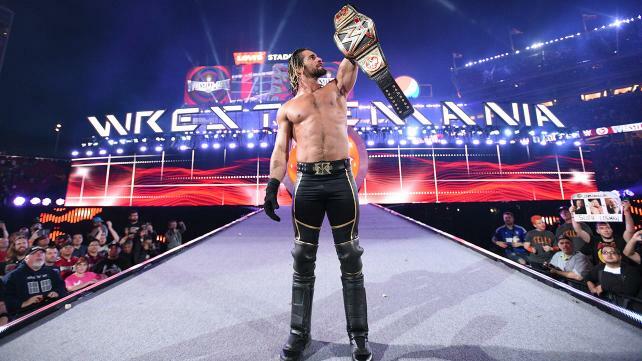 Rollins didn’t just win the WWE World Heavyweight Championship. He didn’t just cash in the Money in the Bank contract. He became the first man to cash-in, and win, at WrestleMania, closing out the main event of the biggest show of the year as WWE Champion. And no one else can ever say the same. Log in to your WWE Network accounts, sit back, and enjoy.